Using Android? Bored with the system font? Worry not, as we all know Android is known for amazing user-end customization, there is a way to change your system font to your own handwriting. Yes, you read it right, your own handwriting. 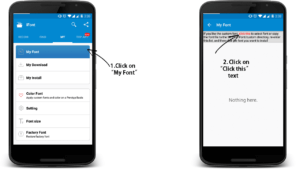 There are many reasons to why you may want to change your device font to your own handwriting. It may be because the current font does not complement the current theme or device you are using, or because you want to give your device a slight personal touch. To be honest, I prefer to use my handwriting as a font in my device to give it a more personal touch according to my customizations. For your information, this works on rooted devices & non-rooted Samsung devices, Xiaomi devices & if you have any System font changing app. So, in any case, if you’re worried that it won’t work on your device; it will. If you have not rooted your Android device, jump on to our How to root any Android device easily thread. First, I’d like to tell you the process for rooted devices. To achieve our goal we are going to use MyScriptFont and IFont app. Please follow the following steps properly to ensure nothing goes wrong and everything works as it is supposed to. Step 1. Go to MyScriptFont website. Step 2. Download the template in PDF or PNG format and print it. Step 4. 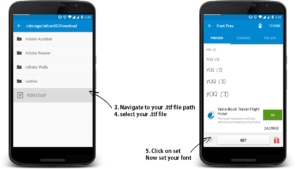 Upload the scanned template on MyScriptFont. Step 5. Give any desired name to your font style and click on Start. Step 6. Now wait for a few seconds until the site generates your .tff file. 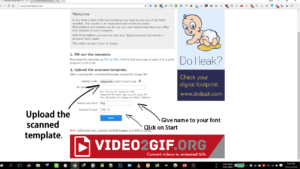 Download the .tff file once it is generated. Step 7. Transfer the downloaded .tff file in your device’s Internal storage or SD card. Step 9. Click on “My Font”. Click on ‘Click this‘ text. Step 10. Navigate to your downloaded .tff file and select it. Click on ‘Set‘ and it will set your font. That’s it! An easy process to set your own handwriting as a system font in your device. Now your device will have a personal touch of your own personal customization.If you want to add support for more characters and languages you can use Font Painter site, and continue from Step #7. You can follow the procedure for Font Painter from here.I hope users who have rooted their Android devices had no issues with this method. As I already mentioned, non-rooted users do not need to get disappointed as this works on Samsung non-rooted devices, Xiaomi devices or if you have any System font changing app. Follow the steps below to use your own handwriting as your system font in non-rooted devices. Step 1. Follow all the above-given steps for rooted devices up to Step #6. Step 2. Now instead of IFont, Download HiFont App. Step 5. 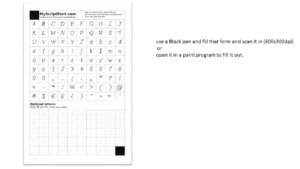 Click on your font and follow the on-screen instructions to complete the process. And Voila! That’s it! 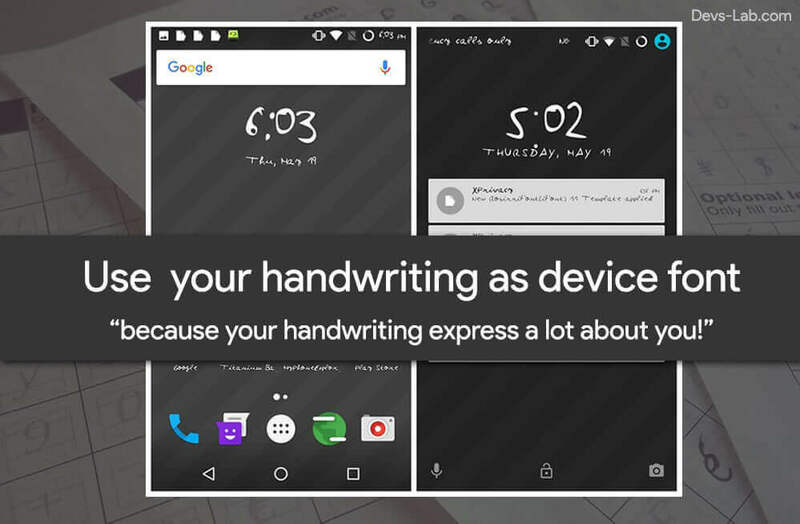 Now you can use your own handwriting as font in your non-rooted devices too. I hope that you did not find any difficulty in changing the system font. You can use this method to remember someone by putting their handwriting as your font. Let us if this worked with your device & who’s handwriting you’re using in the comment section below.